Picture the scene: you're driving your car to work and you arrive at a T-junction. Turn left you add ten minutes to your journey. Turn right and you get to work quicker (joy!). So naturally, you turn right.... and wind up sitting in a traffic jam you had no way of knowing was there. Tom Tom have revealed a device that may provide a solution to this sort of problem and make morning commutes less of a hair-tearing chore. The new Commuter concept promises to deliver dynamic ETA (Estimated Time Of Arrival) comparisons to drivers at key decision points on their daily commute. 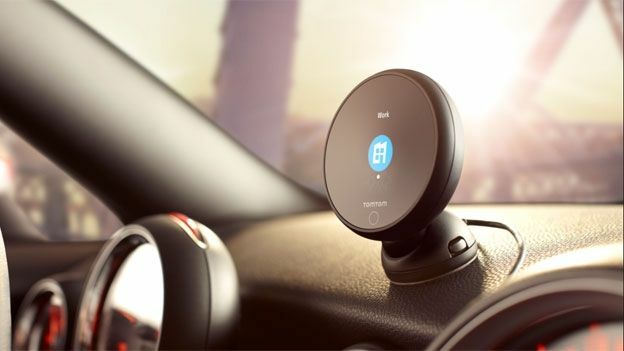 From the sounds of things, what this means is that the Tom Tom Commuter will update drivers with changing traffic conditions so they'll have enough information to work out the fastest way to their destination. Powered by Tom Tom traffic, the idea behind Commuter is to take the guess-work out of finding the quickest route to take. "TomTom has unparalleled knowledge of the traffic situation across the entire road network.” says Corinne Vigreux, Managing Director of TomTom Consumer. "Our aim is to use our traffic expertise to give commuters easy access to the information they really need every day. Many commuters face a daily driving dilemma, never knowing for sure which of their regular routes will be the fastest. The TomTom Commuter concept will eradicate uncertainty and enable daily drivers to make informed decisions."